My three year old doesn’t have much of a concept of time. Nor does he know what New Years is, but he loves clocks. He also loves parties. So I decided to make a celebration just for him to watch the ball drop. 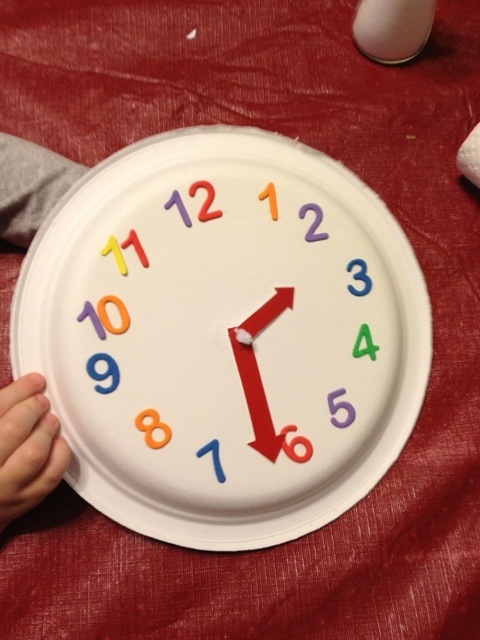 We made a clock using a paper plate. I poked a hole in the middle of the plate. I cut arms out of a red paper plate. I punched holes in the ends of those. I used half of a pipe cleaner to hold the arms to the plate. I even twisted the back side of the pipe cleaner into a little nob you can turn to change the time. 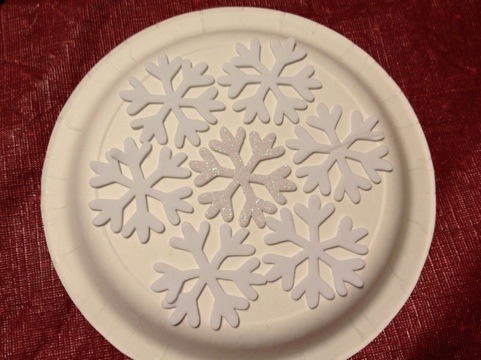 I used foam number stickers and laid them out on the plate and let my son put them on the plate. He loved that we made our own clock. Then to make a crystal ball I used a smaller plate and stuck snowflake stickers on it to make it look like the crystal ball at Times Square. We recorded the ball drop so we can watch it at our convenience and we can replay it over and over again! Happy New Year everyone!